Warning - you may see things in this article that are upsetting. I wish I could tell you that the world you live in is perfectly safe and nothing bad will ever happen to you and you don't need to learn how to fight. I wish I could tell you that you will never be involved in a situation where you have to defend yourself or a loved one from someone intent on hurting you/them. Some naive people will tell you that if you're submissive, mind your own business and don't get involved you'll never have a need to defend yourself. I won't - and that really is no way to live. I'm probably overly cynical given my occupation and the evil I've seen in the world, but the honest truth is that there are evil people who want to hurt you and your loved ones. Just because you haven't encountered one yet doesn't mean it isn't going to happen. I believe it is your responsibility to know how to protect yourself and those you care about. Learning to defend yourself is not a nice to have, a hobby, or something you do on Saturdays because your friend enticed you into it. Learning to defend yourself is an essential aspect of living in the world we live in. Most people live in their bubble and are content to simply go about their day doing the same thing over and over again. That small bubble generally keeps them in safe places where chances of attack are less. There are other people who prefer to expand their bubbles and live a more exciting life. They explore new things, go different places and meet different people. Their bubbles are much larger and their view of the world they live in is much different than someone who limits their daily routine to waking up, working and going to sleep. Whether you decide that you want to live a more fulfilling life full of experience or not is irrelevant. Your bubble, no matter how big or small, does not have impenetrable walls. At any time - an evil person can walk into your bubble and create havoc with your life. In many instances the evil are actively looking for the timid, shy, and meek - the small bubbled people of the world - to hurt and take advantage of. This isn't meant to be a philosophical debate about how you should live your life to the fullest, but I am trying to show you that no matter how safe you may think you are - you really aren't. If you don't learn how to defend yourself - when you find yourself in a bad situation - the result is going to be defined by someone else. You're hinging your future and the future of people you care about on the mercy of the evil person you meet. Is Boxing a Viable Form of Self Defense? There many self-defense courses and methods available and no one method is 100% effective on its own - but boxing comes damn close. 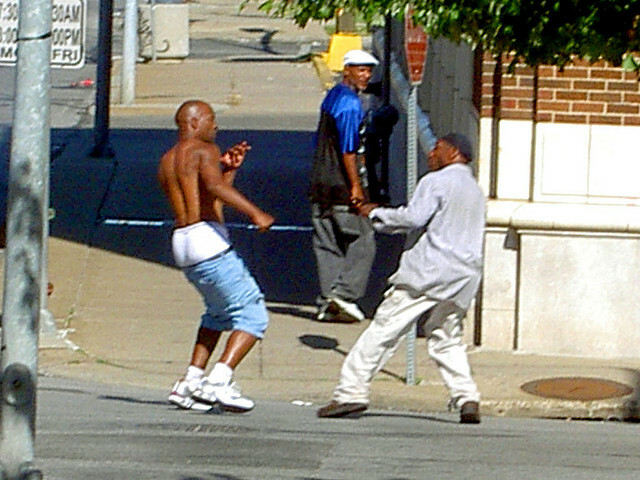 I can preach about the benefits of boxing all day long - but I think it will be more effective to show you what boxing can do in a street fight. Do you think for one second the couple walking by the dicks in this video figured they'd be involved in a fight seconds before? Would you be able to defend yourself or your girlfriend/wife like this guy does? This man in Turkey shows that boxing can be effective against multiple attackers. Stay on your feet and you're a force to be reckoned with. When you know things are going to go bad - pre-emption is your best tactic. Boxing can help you finish a fight before it starts. Before I turn you into a bully - I want to stress that I did not create Commando Boxing or share boxing techniques with you to turn you into a street fighting machine. The boxing techniques you learn on Commando Boxing are only for sport, self-defense or the defense of someone who can't defend themselves. You also have to be careful of what learning some boxing skills will do to your level of confidence. You will carry yourself differently and it will send a clear signal to people that you are not someone to be messed with. At the same time - it will entice others to try and take a shot at you. It's a double-edged sword - but use your new found confidence with some common sense and it's a blessing - not a curse. Even when it invites a challenge - you'll know how to take care of yourself. 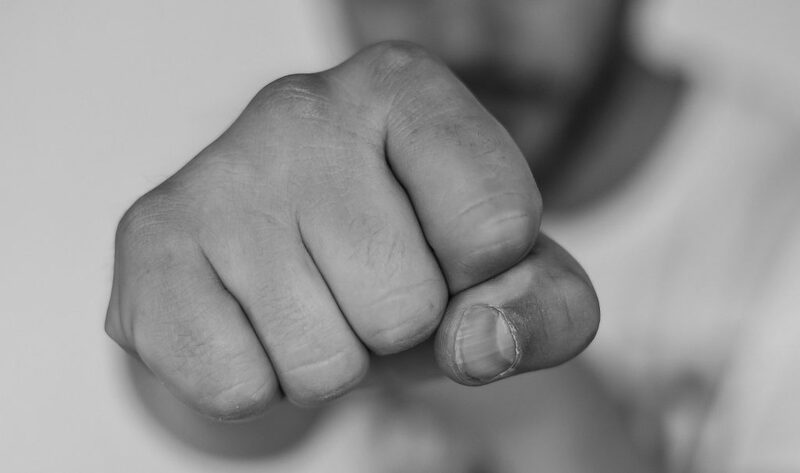 If you consider that most street fights start with a punch you will instantly recognize the advantage that a trained boxer has in dealing with an aggressor. ​Stay on Your Feet - If you are overcome and end up on the ground - boxing will not help. Hard to jab off your back. Be Selective About Ducking - Bringing your head down invites a kick or knee to come up. Slipping is good, side to side is good, bringing your head into striking range by something hard is bad. Remember that your opponent doesn't care if he uses fists, feet, knees or elbows. You're not just watching for punches in real life. Disrupt Attacks - Use your jab to stop forward momentum of your attackers. If they get a hold of you all the boxing skill in the world won't save you. Keep Moving - highly effective in the ring and imperative outside of it. If you're a static target it is more likely that you will be taken down. You should prepare to defend against take downs and have at least a minimal skill set for fighting from the ground. Boxing in itself can prevent a fight from going to the ground, but if your opponent manages to put you down then you're suddenly going to be at a disadvantage if you don't know what to do when you get there. If you're learning to box to defend yourself then you should also spend some time learning a system that caters to all situations. Knowing how to box or having the physical skills to defend yourself in a bad situation is only half the battle. When we train as boxers or MMA fighters - it is for a situation that involves rules and there is usually a third man in the ring who is ready to stop the fight if things get out of hand. While we like to think of ourselves as warriors - in reality we are athletes at that stage. You become a warrior when you hoist aboard the fact that fighting on the street is real life combat. There is no referee. It is a fight for survival - you or your opponent. The fight ends when you incapacitate your opponent permanently or long enough to exit the situation. Prepare both body and mind for combat (in the ring and out of it). Boxon.